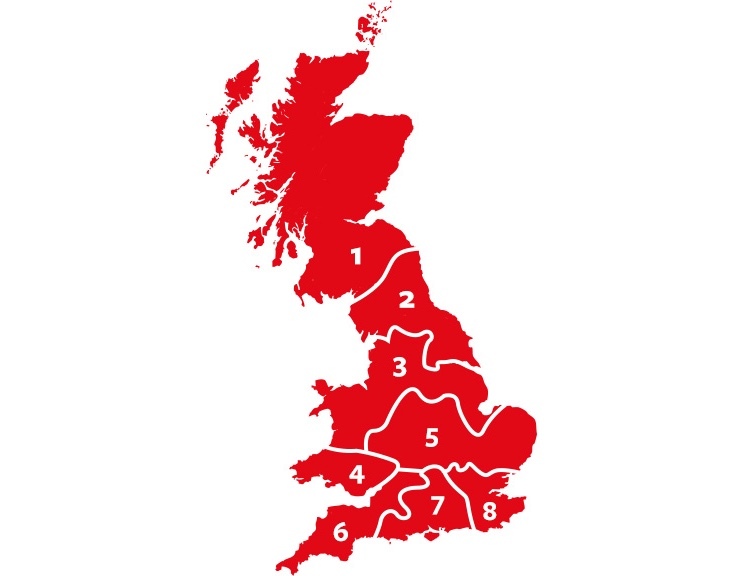 All bulk deliveries will be sent to your home by your local Calor Operations Centre (COC). We'll always keep you posted about the delivery service status of your local COC and ensure that we deliver your home energy as quickly as possible. The delivery service in Scotland is running as usual. Self-ordering – Our recommendation for those who manually order gas is to place an order when your tank reaches 25% to guarantee delivery within 7-14 days. Before the tanks meter reads 25%, just call Grangemouth COC on 0345 609 6201 or order online. Auto-ordering – We’ll automatically schedule your gas deliveries to your home. If your gas usage has increased significantly and you’re concerned about your gas supply, please check your meter. If you’re still concerned, please call Grangemouth COC on 0345 609 6201. The delivery service in the North-East is running as usual. Self-ordering – Our recommendation for those who manually order gas is to place an order when your tank reaches 25% to guarantee delivery within 7-14 days. Before the tanks meter reads 25%, just call Port Clarence COC on 0345 609 6202 or order online. Auto-ordering – We’ll automatically schedule your gas deliveries to your home. If your gas usage has increased significantly and you’re concerned about your gas supply, please check your meter. If you’re still concerned, please call Port Clarence COC on 0345 609 6202. The delivery service in the North is running as usual. Self-ordering – Our recommendation for those who manually order gas is to place an order when your tank reaches 25% to guarantee delivery within 7-14 days. Before the tanks meter reads 25%, just call Elland COC on 0345 609 6205 or order online. Auto-ordering – We’ll automatically schedule your gas deliveries to your home. If your gas usage has increased significantly and you’re concerned about your gas supply, please check your meter. If you’re still concerned, please call Elland COC on 0345 609 6205. The delivery service in the West is running as usual. Self-ordering – Our recommendation for those who manually order gas is to place an order when your tank reaches 25% to guarantee delivery within 7-14 days. Before the tanks meter reads 25%, just call Neath COC on 0345 609 6206 or order online. Auto-ordering – We’ll automatically schedule your gas deliveries to your home. If your gas usage has increased significantly and you’re concerned about your gas supply, please check your meter. If you’re still concerned, please call Neath COC on 0345 609 6206. The delivery service in the Midlands is running as usual. Self-ordering – Our recommendation for those who manually order gas is to place an order when your tank reaches 25% to guarantee delivery within 7-14 days. Before the tanks meter reads 25%, just call Stoney Stanton COC on 0345 609 6209 or order online. Auto-ordering – We’ll automatically schedule your gas deliveries to your home. If your gas usage has increased significantly and you’re concerned about your gas supply, please check your meter. If you’re still concerned, please call Stoney Stanton COC on 0345 609 6209. The delivery service in the South-West is running as usual. Self-ordering – Our recommendation for those who manually order gas is to place an order when your tank reaches 25% to guarantee delivery within 7-14 days. Before the tanks meter reads 25%, just call Plymouth COC on 0345 609 6207 or order online. Auto-ordering – We’ll automatically schedule your gas deliveries to your home. If your gas usage has increased significantly and you’re concerned about your gas supply, please check your meter. If you’re still concerned, please call Plymouth COC on 0345 609 6207. The delivery service in the South is running as usual. Self-ordering – Our recommendation for those who manually order gas is to place an order when your tank reaches 25% to guarantee delivery within 7-14 days. Before the tanks meter reads 25%, just call Fawley COC on 0345 609 6208 or order online. Auto-ordering – We’ll automatically schedule your gas deliveries to your home. If your gas usage has increased significantly and you’re concerned about your gas supply, please check your meter. If you’re still concerned, please call Fawley COC on 0345 609 6208. The delivery service in the East is running as usual. Self-ordering – Our recommendation for those who manually order gas is to place an order when your tank reaches 25% to guarantee delivery within 7-14 days. Before the tanks meter reads 25%, just call Coryton COC on 0345 609 6210 or order online. Auto-ordering – We’ll automatically schedule your gas deliveries to your home. If your gas usage has increased significantly and you’re concerned about your gas supply, please check your meter. If you’re still concerned, please call Coryton COC on 0345 609 6210. Think_Tank_16x16 My gas is running low, what should I do? If you are running low on gas, we would recommend conserving your remaining gas as much as possible by reducing your use of gas heating and hot water. As always, our recommendation for those who manually order gas is to place an order when your tank reaches 25% to guarantee delivery within 7-14 days. For customers on Auto-ordering, we will schedule your delivery as soon as possible, but you may have lower than usual levels of LPG in your tank by the time we deliver. If you have any concerns, please contact your local Calor operations centre. How can I contact my local Calor operations centre? You can contact your local Calor operations centre, using our help and support page. Can I order my gas online? Absolutely. If you have a Calor Account Online, you can log in to manage your online orders. Not registered? No problem. Registering for a Calor Account Online account is quick, easy and fuss-free. Do I need to be in to receive my delivery? In most instances, you won’t have to be in when you receive your delivery. However, in the instances that a driver cannot easily access your home or garden, we ask for you to be in. If you’re unsure about access, please contact us. Will my delivery be affected by poor weather conditions? Our delivery vehicles can delivery to your home in most weather conditions. However, during extreme weather conditions, delivery may be affected. But we’ll always keep you updated, so you'll never be in the dark. You may or may not know that LPG takes the form of a gas at room temperature and under natural atmospheric pressure. But when stored under pressure, such as in our cylinders and bulk tanks, the LPG liquefies. When LPG is in its liquid phase, it naturally expands in warmer conditions. So, allowing suitable space for any likely expansion, we only fill our cylinders and bulk tanks to a maximum of 87%. When one of Calor representatives fills your bulk LPG tank, there will be a small release of gas. This should dissipate quickly and will not cause you any harm. However, if you can smell gas when the delivery driver has left, please call the Emergency Line on 03457 444 999 straight away. The Emergency Line is active 24/7 and we have Emergency Engineers on-call at all times. 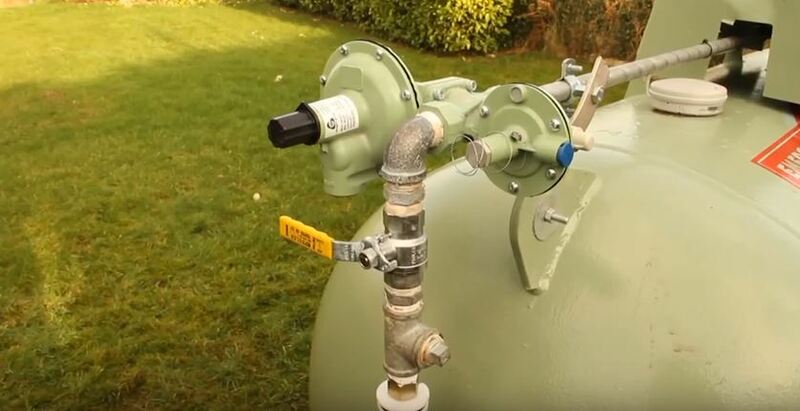 If you've received a delivery but your systems aren’t working, you may need to reset the pressure regulator on your tank. The video at the bottom of this page will show you exactly how to do so. If you’re hesitant at all, please get in contact. Think_Tank_16x16 How do I switch to Auto-ordering? If you’d like us to monitor your gas usage and automatically order a top up of gas to your home, whenever you need it, please contact us. Prefer to contact us about your gas delivery? If you have any questions about your gas delivery, chosen top-up method, or if you're experiencing any problems with an order, please get in touch. Message us Give us your details and we'll be back in touch.